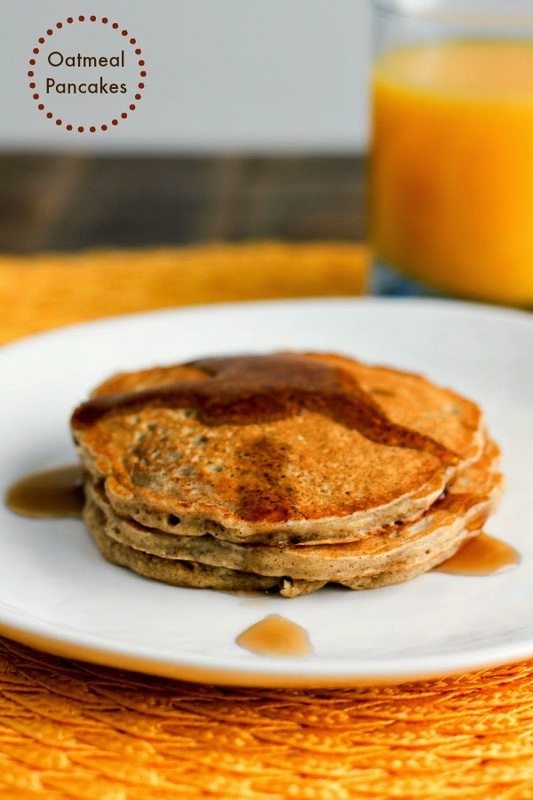 Start your day off right with these hearty and healthy Oatmeal Pancakes! Did you know that National Pancake Week existed? I didn't until now, but it's actually the last week of February! In addition, February is also National Heart Healthy Month and National Hot Breakfast Month. So many good things to celebrate! 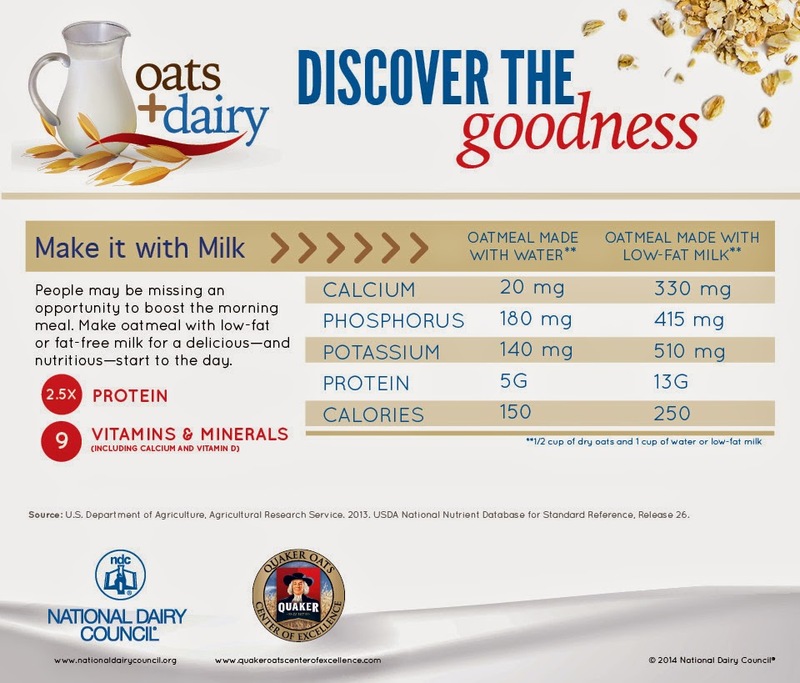 The timing is perfect for all of these as the United Dairy Industry of Michigan (UDIM) just happens to be celebrating the combination of oats and your favorite dairy foods with their "We Heart Oats" campaign. Did you know you can get over two and a half times the protein by making your oats with milk instead of water? Check out the infographic below for more fun facts! When I sat down to start developing my recipes for this month, I knew right away I wanted to dedicate one recipe and intertwine all of the food holidays celebrated in February. I LOVE pancakes and so does my family, and I typically make a batch every weekend. One day it could be chocolate chip, the next time it could be banana. Any way I make them, they will devour them. And with a side of bacon, of course. These Oatmeal Pancakes are crazy good. I popped the oats in a blender to grind them up finely, just so there weren't any big chunks in the pancakes. They are light and fluffy but hearty. You can top them with some fresh fruit or just syrup, whatever you prefer. I recommend making a double batch so that you have some for the rest of the week. Pop the cooled pancakes into a large resealable plastic bag and refrigerate, then take them out and microwave them when ready to eat. Now you have a warm and delicious breakfast even when you're short on time! Place the oats in a blender and pulse until they are powdered. Add the oats, flour, sugar, baking powder, baking soda and cinnamon to a medium bowl and whisk well. In a small bowl combine the milk, oil, vanilla and egg. Add the wet ingredients to the dry ingredients and stir until moist. Heat a nonstick griddle or skillet over medium heat. Add a tablespoon of butter to coat the griddle. Using a 1/4 cup measure, pour the batter onto the griddle. When the tops of the pancakes start to bubble, flip them over. Continue cooking until the bottoms are lightly browned. Repeat until all the batter is gone. 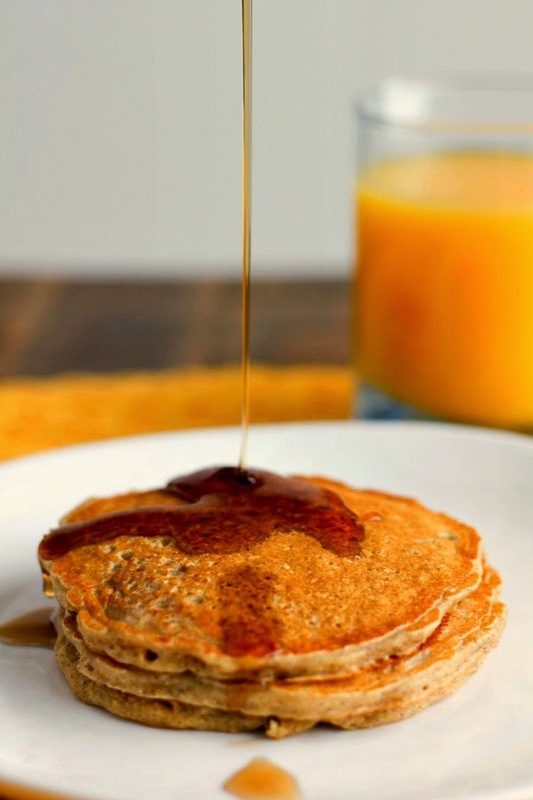 Serve pancakes with fresh fruit and syrup, if desired. I'm excited to partner with the United Dairy Industry of Michigan in 2015 and I thank them for sponsoring this post! I was compensated for developing a "We Heart Oats" recipe using Michigan dairy products. As always, all opinions are my own. UDIM is the umbrella organization for the American Dairy Association and Dairy Council of Michigan. Their goal is to promote Michigan’s locally produced dairy products and reconnect consumers with the people behind their food.